The Paper Crowns are the multi-instrument, genre-crossing power duo of Spiro and Nicole Nicolopoulos. 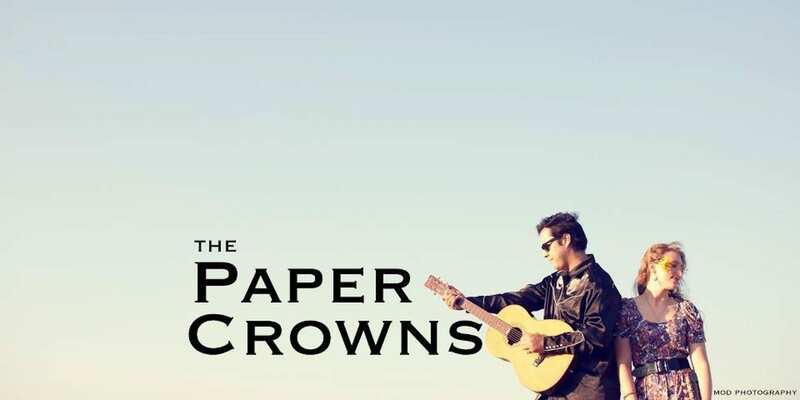 The Paper Crowns are earning their reputation as the genuine article and as a band on the cutting edge of modern roots music. Their musical chemistry is a gumbo of Appalachian folk and bluegrass, Dixieland melodies, delta blues, acid rock, murder ballads, outlaw country and Southern Gospel that they cook up into a sound all their own. As a duo they have a full band sound with drums, bass, acoustic and electric guitars and banjo as well as live looping on the spot compositions. Their mix of modern and traditional performance creates a captivating intensity yet always honors their intimacy and emotional rawness as a duo. The Paper Crowns have played such events as: Spring LEAF (2018), LAAF (2018), Warren Haynes Christmas Jam by Day 2016 & 2017, LEAF Downtown, Echo Sessions featured on PBS , Mountain Sports Festival, Fall for Greenville, Downtown Alive, Soulshine Farm Music Festival, SXSE, Sawdust Festival, Hangar 24 Airfest, Pappy & Harriet’s, we were featured in Pepsi’s City Tour and more. Our music has found placement in major network TV campaigns and online ad campaigns including for the Olympic Games, Visa, Court TV and for Pepsi. The Paper Crowns have been featured on Local Color Live WNCW, WDVX Blue Plate Special, Dead Show of the Month, KUCR Vinyl Hours Radio, PE Live with Vanessa Franko, 880 The Revolution with Jeff Messer, Asheville FM, WBTV Charlotte and 98.1 The River.